Russ Appleby is one of the country’s leading entertainers. 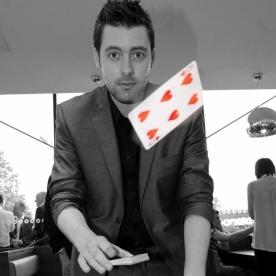 He creates unbelievable magic combining stunning sleight of hand, psychological subtlety, an appealing charm and quick wit. 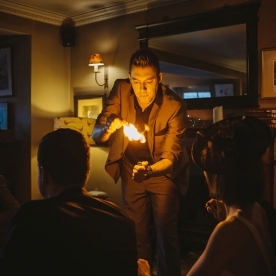 He performs a personal magic show using your items such as coins, notes, rings and bottles. Russ can make your event even more special as he creates a unique experience for your guests that will be remembered forever. Russ' award winning magic creates a unique talking point. 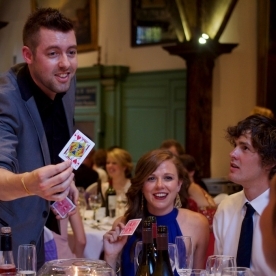 He has performed at thousands of events and can tailor the entertainment to suit your needs. Specialising in audience participation he gets people involved and makes the magic happen in their hands. He will make your wedding, house party, celebration of all sorts sparkle with his magic. A magic workshop. 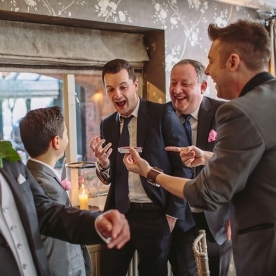 Making and performing magic tricks is great fun for those taking part and those watching.